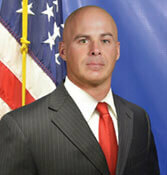 As Sheriff, I am well aware of the numerous issues that are faced with the operation of a Detention Facility. All County jails have the inevitable problem of safely housing inmates while also protecting the Sheriff’s Office and the public from frivolous lawsuits. During the working stage of obtaining a healthcare program, our County Attorney advised us that nearly 80% of our lawsuits involve inmate healthcare issues. Inmate medical bills and prescriptions are the biggest financial burden facing our Detention Center. When an inmate complains of some type of illness or injury, we have to send them to the doctor to ensure the inmate does not have any type of critical health situation. It takes additional unallocated manpower to take inmates back and forth to the doctor. If the inmate is admitted to the hospital, we then have to provide around the clock security. All of these occurrences are very costly to the county and the tax payers. We have been working diligently with Judge Lanny Fite and the Quorum Court since November of 2011, to retain a professional healthcare program for the Detention Facility. I would like to announce that we have now signed a contract with Advanced Correctional Healthcare to provide the healthcare needed in our Detention Facility. This program is expected to be fully functioning by mid-May. These are a few of the key points of the healthcare program. The company has equipment such as x-ray equipment, lab equipment and more that will save us from having to take the inmate to the hospital. There are so many more services that it is not possible to list them all. One of the key elements of this healthcare service is that Advanced Correctional Healthcare assumes all responsibilities for lawsuits involving medical incidents. During Advanced Correctional Healthcare’s presentation, a quorum court member asked if they had been sued. The representative stated that they have been sued but have never lost a single case and went on to add that in some instances they have countersued and won the cases. This program is a win/win for Saline County. We will have the medical professionals at the jail to properly triage patients and that will drop the rate of inmates filing for false medical services. It will also provide the lifesaving capabilities for those inmates who go into some type of full medical duress situations. This will save the tax payers of Saline County money from medical expenses and will also protect against lawsuits.